Welcome back to the First Monday Library Chat! To start the new 2018 year we’re speaking with Kathryn Harvey, Head of the Archival and Special Collections at the University of Guelph Library, and Melissa McAfee, Special Collections Librarian at the University of Guelph Library. Courtesy of Archival and Special Collections at the University of Guelph Library. For our readers who may not be familiar with the University of Guelph’s Archival and Special Collections center, can you provide a brief overview of your holdings and research strengths? 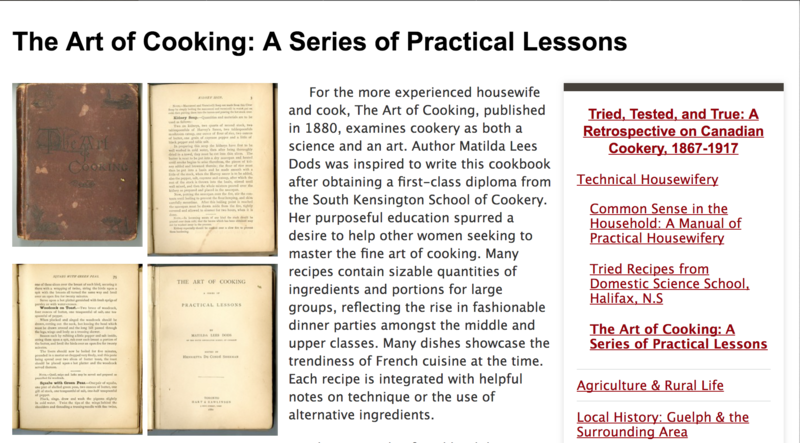 What tips can you offer to help users find recipes via your catalogue or finding aids? In 1903, the Macdonald Institute was founded in Guelph by Adelaide Hoodless and Sir William Macdonald. This institute (one of the three founding colleges of the University of Guelph in 1965) took as its mission the education of women in the areas of nature study, domestic science, and household management. From the library’s early days it supported these studies; however, the Culinary Collections as a discrete major collecting area within the library did not really come into being until 1993 around the time the University acquired Edna Staebler’s archives. (More on her a bit later.) Since 1993, the collection has grown to encompass more than 18,000 cookbooks—with one of the world’s largest holdings of Canadian titles and authors—as well as the personal and professional papers of food writers, educators, and editors. Our Culinary Collections are strong in many areas. In addition to having a world-class collection of specifically Canadian cookbooks and books about Canadian foodways, we have books international in scope to help contextualize these collections and support research on the many cultural, social, and economic influences on Canadian cuisine, the food industry, and the hospitality industry. These works comprise what we call our Canadian Cookbook Collection. Our collections include more than sixty manuscript receipt books dating from the period between 1722 and 1959, with two-thirds of these dating from prior to the 20th century. Many of these receipt books contain recipes not solely for food and beverages, but also for medicinal purposes. This is a rich and largely un-researched collection. Only one of these manuscripts has thus far been published: A Receipt Book of Mrs Johnson 1741/2 recently appeared as The Johnson Family Treasury, edited by Nathalie Cooke and Kathryn Harvey (Oakville, ON: Rock’s Mills Press, 2015). Two other of our manuscripts are available for transcription through the Folger Shakespeare Library’s Dromio interface as part of the Early Modern Recipes Online Collective Project (located under EMROC > GuelphMS). Other areas where our collections are strong are community cookbooks, often created for fund-raising purposes and corporate/advertising/publicity cookbooks including the little pamphlets which come with food (flour, yeast, jello to name only a few) and appliances (stoves, blenders, microwaves, etc.). The case of community cookbooks is particularly interesting. Such works differ from those by professional chefs coming out of larger publishing houses because the community cookbooks reflect the type of cooking actually done in the community and not ideals to aspire to. Furthermore, because the cookbooks often give information about the community putting it together and recipes are often signed, genealogists and social historians (two name only two groups) use them to track relatives and learn about the community. For those researching the history of household management and domestic science, we have a rich selection of primarily British and Scottish texts from the 16th century on, including works such as Thomas Tusser’s famous Five Hundred Pointes of Good Husbandrie As Well for the Champion, or Open Countrie, As Also for the Woodland, or Severall, Mixed in Everie Month With Huswiferie, Over and Besides the Book of Huswiferie …Newly Set Foorth (London, 1560), Gervase Markham’s A vvay to get vvealth: containing sixe principall vocations, for callings, in which every good husband or huswife, may lawfully imploy themselves (London, 1660), Hannah Wooley’s The Queen-like closet : or, Rich cabinet, stored with all manner of rare receipts for preserving, candying and cookery (London, 1684), Nathan Bailey’s Dictionarium domesticum; being a new and compleat household dictionary for the use both of city and country (London, 1736) and Hannah Robertson’s Young ladies school of arts (Edinburgh, 1766), AFM Willich and Thomas Cooper’s William Cobbett’s Cottage economy (London, 1824), and John Armstrong’s The young woman’s guide to virtue, economy, and happiness (Newcastle upon Tyne, 1825). All of our holdings are available for on-site viewing and may be access via the library’s online catalogue at http://www.lib.uoguelph.ca/. Guelph has a particularly strong culinary collection. What are the oldest and the newest objects you’ve acquired that relate to recipes and food, and what can they tell us about the scope and texture of the collection as a whole? The oldest cookbook in our collection is Murrel’s Two Books of Cookerie and Carving; the Fifth Time Printed with new Additions. London: Printed by M.F for John Marriet and to be sold at his shop in St. Dunstans Churchyard in Fleetstreet, 1641. Written by John Murrell, a professional cook from London, who studied cooking in France and the Low Countries, this was one of the first cookbooks to establish cooking as a fashion rather than a domestic household guide. The book is divided into three sections: the first two sections contain a variety of recipes for boiled, baked, and roasted meats, puddings, food preservation, and the third is on carving. 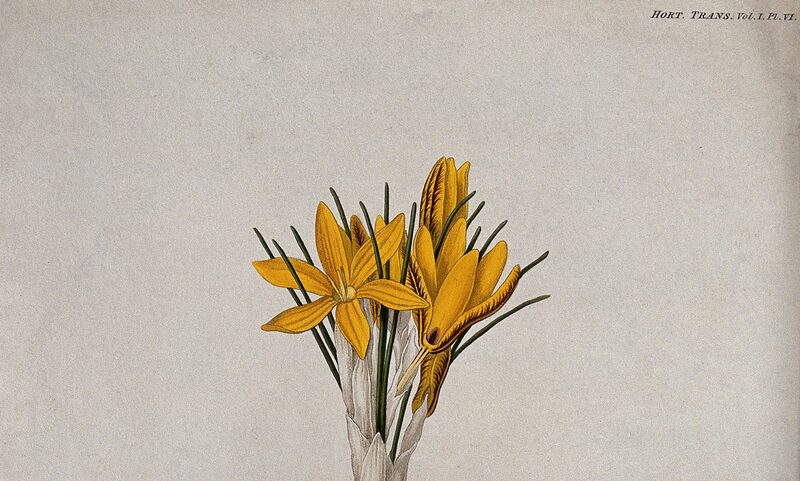 Murrell’s cookbook is innovative in promoting cooking as a cosmopolitan fashion, which he experienced while studying cooking in France, rather than the focus on provincial recipes of earlier English cookbooks. In the carving section, Murrell republished parts of The Boke of Kervyne, the first carving manual published in England. This cookbook contains many recipes “on the French fashion”, such as capon with lemons, pigeon with rice, rack of veal, steak pie and classics “on the English fashion” such as rice pudding, boiled rabbit, and gooseberry tart. Early editions of this cookbook are very rare. Only four copies of this edition are listed in Worldcat. This book was part of an early donation to our culinary arts collection by Una Abrahamson, a Toronto food writer. The newest cookbook added to our collection is Catharine Parr Traill’s The Female Emigrant’s Guide: Cooking with a Canadian Classic, edited by Nathalie Cooke and Fiona Lucas. Montreal & Kingston: McGill-Queen’s University Press, 2017. Catharine Parr Strickland. Image courtesy of Wikipedia. Originally published in Toronto in 1855, The Female Emigrant’s Guide provides the most authentic account of cooking in Ontario in the first half of the 19th century. Catherine Parr Traill (née Strickland) emigrated with her husband to Upper Canada form England in 1832. She states that her book was not “intended for a regular cookery-book,” but to explain to recent English immigrants the distinctive practices in Canadian kitchens. The book covers the whole cycle of food production, from growing and gathering to preserving and storing. This new edition edited by food scholars Nathalie Cooke and Fiona Lucas not only reprints this important Canadian culinary classic, but provides a “Guide to Traill’s World” containing sections that contextualize and interpret 19th c. Canadian cooking. Although these two volumes barely scratch the surface of the breadth and depth of the collections, what they do show is the fact that Canadian foodways have a much larger context and lineage. Additionally, our books focus on all aspects of food from “food as fashion” to practical domestic cookery. Some of the most impressive things about Guelph’s recipe sources are the ways that they bring to light the noteworthy careers of Canadian women food-writers and chefs (eg., the Edna Staebler Collection, the Helen Gagen Collection, the Jean Fewster Collection, Jean Paré Collection). What do these sources tell us about gender and work in twentieth-century Canada? One of the real strengths of our archival collections is the way they demonstrate the depth and breadth of women’s contributions to Canadian culinary and food culture. The strongest examples, I believe, are the extensive Edna Staebler papers and the smaller—but no less important—collections of Jean Paré’s fan mail and Marie Nightingale’s papers. In the 20th and early 21st centuries, cookbooks published by the big publishing houses tend to focus on what we might call aspirational meals, the type of meal you might find in a restaurant. These women’s cookbooks focus on the practical, on meals that a cook might reasonably be expected to make in the home on a regular basis. Furthermore, the archives of women such as Jean Paré, Jean Fewster, and Helen Gagen also reveal their exceptional business acumen and influence over product development, education, marketing, and nutrition within Canada and abroad. 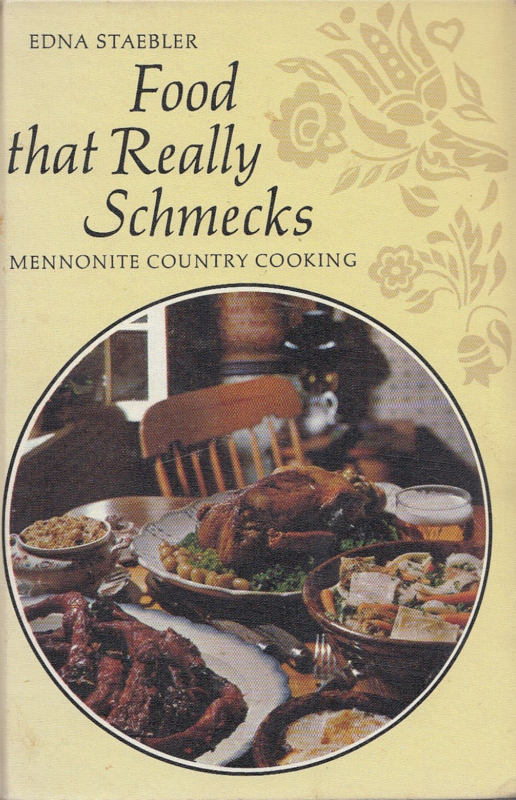 Edna Staebler (1906-2006), is the author of the successful Schmecks cookbook series, beginning with “Food that Really Schmecks” in 1968, based on the food and culture of the Mennonite communities of Waterloo County, Ont. She is recognized as one of the nation’s leading voices on the lifestyles of Canadians coast to coast, primarily for the Hutterite colonies on the Prairies, miners in Northern Ontario and the descendants of refugee slaves in Nova Scotia. Her articles appeared in Maclean’s, Chatelaine, Reader’s Digest, and Saturday Night magazines, among others. An avid diary writer, she began keeping diaries at the age of 16 and continued throughout her lifetime, so these diaries would be of great interest to those researching women within the food industry. Edna Staebler (1906-2006), “Food That Really Schmecks,” courtesy of Archival and Special Collections at the University of Guelph Library. Marie Nightingale (1928-2014) is considered the definitive authority on Canadian East Coast cuisine. She began her career in radio, working at Halifax’s CHNS Radio; Windsor, Nova Scotia’s CFAB Radio; and Halifax’s CJCH Radio. She published Out of Old Nova Scotia Kitchens in 1970, and it remains the best-selling cookbook to come from Nova Scotia and was awarded a spot in the Canadian Culinary Landmarks Hall of Fame in 2011. She went on to publish five more cookbooks: Marie Nightingale’s Favourite Recipes (1993), Out of Nova Scotia Gardens (1997), Cooking with Friends (2003), Traditional Holiday Fare (2004), and Your Best-loved Menus (2005). As the food writer and editor for Halifax newspapers The Chronicle-Herald and The Mail-Star from 1982 to her retirement in April 1993, she continued to contribute to the papers on a regular basis even beyond her retirement. She was the founding food editor of Saltscapes magazine, where she worked from 2000 to 2009. In 1998, she was the second individual to receive the second Edna Staebler Lifetime Achievement Award from Cuisine Canada. (Edna Staebler herself was the first.) In 2013, she was presented with a Canadian Food Hero Award from Slow Food Canada. Helen Gagen (1908-1998) was hired by Katherine Caldwell Bayley in 1931 to assist with the latter’s and her husband’s consulting company, and she worked for the next ten years helping to produce a monthly 12-14 page supplement for the Canadian Home Journal (later part of Chatelaine) and also preparing food sections of the Globe and Mail. She and Bayley were additionally responsible for developing the food profile of Maple Leaf Milling, including recipe development and testing, cookbook writing, developing several series of cooking lessons, and preparing copy for product packages. Her work in advertising in the 1940s and 1950s put her at the centre of development of advertising copy for Jell-O, Carnation evaporated milk, Swan’s Down baking powder, and Baker’s chocolate, among others. This early work influenced many of her activities over the next forty years: food editor for the Toronto Telegram (1963-1971); consumer adviser for Miracle Food Mart supermarkets in Ontario (1972 on), “Shopping Basket” columnist for the Globe and Mail (1976-1987), and anonymous restaurant reviews for Toronto Life magazine. The fact that Helen Gagen was made the first member of the Ontario Home Economists in Business Hall of Fame shows how important her contributions to Canadian foodways. Like Gagen, Jean Fewster (1924-2015) spent a significant portion of her career in product development, consumer information and education. She received a BHSc in 1946 from the University of Saskatchewan. From 1951-1964, Fewster was Director of Home Economics, Dairy Foods Service Bureau, Dairy Farmers of Canada in Toronto. Under the pen name “Marie Fraser,” she developed and directed their consumer information/education program. In the 1960s she enrolled in a summer course at the University of West Virginia and then decided to go back to school full-time. She enrolled in the University of Wisconsin–Madison earning an MS (Home Economics, Journalism) in 1966 and a PhD in 1969 (Communications). After graduation, she accepted a three month consultancy job with the Food and Agriculture Organization of the United Nations at its headquarters in Rome. That position turned into a 15-year commitment which took her travelling to almost 100 countries around the world. She was particularly influential helping women in emerging countries learn about nutrition and food handling practices. While Staebler, Gagen, and Fewster were active in journalism, product development, nutrition, and consumer education, Jean Paré’s legacy to the Canadian culinary scene is largely through her influence on home cooks through her more than 200 cookbooks, published by the Company’s Coming Publishing Company empire which she founded herself. Evidence of this legacy is readily apparent in the 30 years’ worth of her fan mail which is housed in Archival and Special Collections. And as a testament to her dedication, she kept copies of all her responses to fans and detractors alike! She started her culinary career as a caterer, launching a catering company that operated for more than 18 years. Over the years, attendees kept asking her for the recipes, which led to the self-publication of her first cookbook, 150 Delicious Squares, at the age of 54. It sold out its entire print run of 15,000 in less than six weeks. 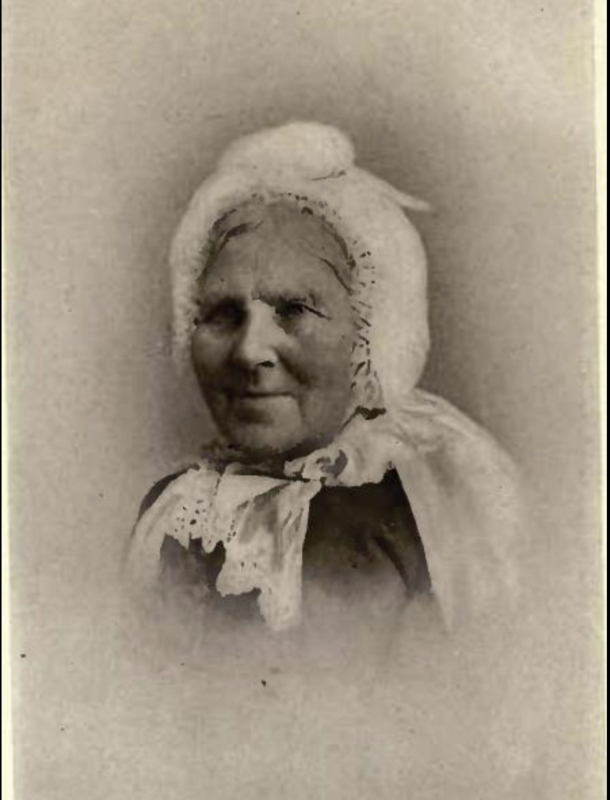 As a cook herself and a shrewd businesswoman, she produced spiral bound volumes instead of traditionally bound books so they would easily lie flat while the home cook worked around in the kitchen. Another of her innovations was to sell the compact volumes in places where people were buying groceries rather than solely in bookstores. As a result since 1981, she has sold more than 30 million copies of her books around the world. All this was accomplished through amassing more than 6,700 cookbooks from around the world that she used for inspiration (volumes also donated to the University of Guelph) and through building a large test kitchen and food staging area/photography studio, and publishing house where all her recipes were created, tested, photographed, and then published. Although she retired in 2011, her books are still readily available. Who was Una Abrahamson and how did she help to shape Guelph’s archive? Una Abrahamson (1922-1999) was a Canadian writer who authored a book on domestic life in nineteenth century Canada and wrote articles on food and nutrion for Canadian magazines. She also chaired the Ontario Council of Health’s Task Force on Nutrition and Dietetic Services In 1997 the University of Guelph acquired her distinguished library of published and manuscript cookbooks and domestic manuals dating from the early seventeenth century to the late twentieth century. Abrahamson’s donation of 3,000 historic cookbooks formed the foundation of our Culinary Art Collection, which now includes over 18,000 items. De Tuenda Bona Valetudine: libellus Eobani Hessi; commentarijs doctissimis illustratus a loanne Placotomo, professore medico quondam in Academia Regiomontana, illustratus i quibus multa erudite explicantur, studiosis philosophia plurimum profutura, accesserunt & alia nonnulla lectu non indigna quae versa pagina indicabit. Franc. : Apud Hared Chr. Egen, c. 1521. The Queen-like closet, or rich cabinet stored with all manner of rare receipts for preserving, candying and cookery by Hannah Wooley. Fifth edition. London: 1684. American cookery, by an American orphan by Amelia Simmons. Poughkeepsie, NY: 1815. Le cuisinier royal et bourgeois, qui apprend a ordonner toute sorte de repas en gras & en maigre, & la meilleure maniere des ragouts les plus delicats & les plus à la mode. Ouvrage tres-utile dans les familles, & singulierement necessaire à tous maitres d’hotels, & ecuiers de cuisine. New ed. By Francois Massialot. Paris : Chez Claude Prudhomme 1704. Abrahamson was also was a collector of manuscript cookbooks, and many of the more than sixty in our collection (as mentioned above) were donated to us as part of her collection. Tell us a bit more about how you’re encouraging faculty and students at Guelph to use your recipes holdings. I saw an announcement about an experiential learning exhibit curated by students at Guelph and I’d love to learn more about it. Since 2015, we have supported experiential learning projects based on our collections to students at the University of Guelph. Last year we worked with 37 students in Dr. Rebecca Beauseart’s Food History course to develop “Tried, Tested, and True: A Retrospective on Canadian Cookery, 1867-1917”. The student curators explored cooking in Canada from Canadian Confederation until the First World War. The aim of this project was for students to gain an appreciation for cookbooks and domestic manuals as primary resources that provide a window into Canadian society during the fifty-year period after Canadian Confederation in 1867. An online component to the exhibit was developed by as an independent study project by a 4th year History major. This can be viewed here. During the Fall 2018 term, Archival & Special Collections is supporting another classroom project based on our culinary collection. Students in Dr. Kevin James’ First Year Seminar on ephemera are using advertising cookbooks from our holdings to research and curate an online exhibition on the variety of fascinating and colorful cookbook pamphlets published by food producers, kitchen appliance manufacturers, and professional food organizations. Through these experiential learning projects students learned how to interpret and contextualize original and primary sources; protocols for using rare books and archival materials, and how to develop and curate physical case and online exhibits.